Nice guy. Very knowledgeable. A little on the pricey side though. This company is very thorough and honest. They tell you exactly what the problem is and fix it. They don't try and sell you services you don't need. They also stand behind their word, so if the problem isn't resolved, they will come back and make it right. I will definitely call them for all of my pest control needs. Fast service and makes sure everything is taken care of before leaving. Will is a great guy and someone I can call a friend. I appreciated the the quick service, technician was friendly and provided excellent service. So far I think you took care of all of the issues! Thanks! Had a huge Ant problem at my house. They came right away and took care of the situation. Got a one year warranty if the problem ever comes back. No ants since. I would recommend Nexus to everybody. Very professional and friendly. Great experience! Will is consistently responsive and does a great job. With online billing, invoice access, and payment... Nexus Pest Control is top of my list. Great service, that worked ! Friendly and courteous. Quick response with excellent customer service. Pest problem resolved quickly. Have not seen any wasps or any bugs in my house. Will and Jose are very friendly and knowledgeable. Will was very patient with me and all my questions. Highly recommend. Will always does a great job! We're very happy with our service! Will is friendly, efficient, and our home is bug and spider free! Will White is great. In the last 5 years I have had very little contact with Will. When your exterminator is not producing you will be in constant contact. Very, very pleased with Will. Thank You, Ed. Always professional and wonderful service. Great service, Friendly, simple. As a business owner it is so appreciated to have something I never have to worry about, Nexus does that for me. Will is friendly and knowledgeable about pest control. He always does a great job with great results! Will arrived at our home promptly and did an excellent job of evaluating the pest controls currently in place and updating them with Nexus products. Looking forward to his next visit. I was very happy to meet Will, he was very professional and knowledgeable. He explained everything he would be doing before and after the service was complete, it was very helpful. I am satisfied with my choice and looking forward to my home being well cared for. Will is very polite and punctual. I like the detailed receipt of what services were done during the visit. I highly recommend them. Will has been helpful with our pest issues and we’ve seen improvement that make us happy! Works with our schedule for appts. Thanks! 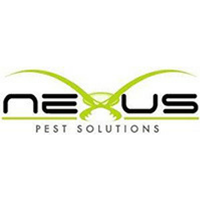 Nexus Pest Solutions are accommodating, good listeners, have great follow-up, solution oriented and are trustworthy. Our service from Nexus has been great. They are very reasonably priced, and get the job done when it needs to be done. They do a great job. Excellent customer service! Solutions are highly effective. Nexus is fantastic! Their professionalism and attention to detail is so appreciated. We're always greeted with a friendly smile and willingness to help! I'd encourage anyone to use them for whatever needs they have! Will is a great guy! Very professional and he does a great job!! Will is fantastic. Very meticulous and can resolve any pest issue. I highly recommend him and his team for home pest services. Our technician Will was really nice. He was working at my neighbors and had no problem helping us with a nest we had without a scheduled appt. He was friendly, courteous and very professional. We would use him again and certainly give his name out. I'm a Realtor and have used Nexus Pest Solutions on multiple occasions during real estate transactions. Will White has been my point of contact. He is personable, capable, and level headed, which can diffuse and put into perspective even the most stressful of pest situations. Beyond his excellent professional demeanor, he is a wealth of knowledge about his trade. He is able to answer questions, to offer realistic solutions, and to eliminate whatever problems he is faced with. When I had a wasp infestation in my own home, Nexus was my first call. In short, Will White with Nexus is responsive, professional, and committed to solving every problem he encounters. I highly recommend him. Nexxus is extremely responsive, coming same day in an emergency. If the bees and wasps return, so do they. Excellent service. Same day solution to our yellow jacket problem! Excellent service! Very professional ! We would call Nexus again if you have another pest problem! Will was able to come out the same day to take care of our yellow jacket issue. Upon talking with us about recent stings, he asked to check our garden too. His suspicions were correct. He discovered another hive in the garden and took care of it for us. If he hadn't listened to our comments we never would have found the 2nd problem until later and would have had to call him back. He is truly a professional. Neat, friendly and thorough. I thought I had a wasp nest in my bushes. I'd been stung earlier and ended up at urgent care for a bad reaction. They took my concern seriously and by 8am the following morning, Ed was on my door step! He was extremely knowledgeable. Turns out, it was a particularly aggressive type of hornet. The nest was basketball size, but Ed took care of its complete removal within 30-45 minutes. (Bushes intact) He explained that I might see a few residual hornets as they returned to look for the nest, etc., but they would die off quickly within 24-48hrs. I've had no further issues and can once again enjoy my backyard with my family and pets. This company is awesome! The people are friendly, work with a sense of urgency, are informative, and the cost is very reasonable! HIGHLY Recommend! Friendly. Great job. Affordable. Prompt.